Trying to use a Mastercard, Visa or Amex Gift Card on Amazon can cause several headaches. First, simply registering the card as a payment method can be tricky. Amazon requires a name and billing address to register a credit card as a means of payment. Since many gift cards aren’t personalized to you, there is no name or zip code to enter, and Amazon won’t be able to validate the card. Even if you get through that first hurdle, Mastercard, Visa or Amex gift cards aren’t well-suited to online purchasing. Since Amazon doesn’t allow you to split a purchase among multiple cards, if your gift card is worth $50 and your order is $70, there’s no way to make up the difference, and your transaction will simply be declined. On the flip side, if your order is $47, you’ll be left with a $3 balance on your gift card, which isn’t useful for anything. However, there are a couple of tricks that will make using a gift card on Amazon a breeze. In fact, there’s probably no better place to use one of these cards than Amazon. Here’s what you need to know. If your card doesn’t already have your name and zip code associated with it, you’ll need to do that through the financial institution that issued the card. Sometimes there will be a registration URL on the back of the card. If not, look for the name of the institution on the card and then Google “[institution name] gift card registration”. That should get you to the right site. If it's an Amex gift card, use this link. Once there, you’ll be asked to verify the card info, and then you’ll have the option of registering the card with your name and address. This is also a good time to confirm the available balance. Next, go to Amazon.com and click on the Account & Lists dropdown to go to Your Account. Click on the Payment options box to add your gift card as a new payment source. If the box doesn’t appear, but you'll find “Payment options” under the Ordering and shopping preferences list below it. At this point, you could start using your Mastercard, Visa or for purchases on Amazon. The problem is, though, that Amazon doesn’t let you divide purchases among multiple cards. So if you have a $30 gift card, you can’t make purchases for more than $30. And if you make a purchase for less, you’ll be stuck with a small remaining balance that is even more difficult to use. The trick to get around this is to use your Mastercard, Visa or Amex gift card to buy an Amazon gift card. With Amazon gift cards, the full amount can be credited to your purchase, and any additional funds required can be paid with your regular credit card. Click on the Gift cards box in Your Account then click the Reload Your Balance Button. 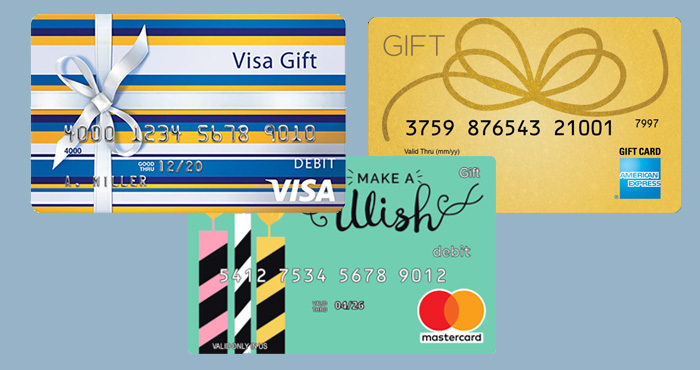 On the next screen, enter in the balance on your Mastercard or Visa gift card (if you don’t know it, you can get the remaining balance from the issuing institution (see Step #1 above) and select the gift card you added in Step #2 as the Payment method. Assuming you properly registered your card and entered in the correct balance amount, the transaction should go through and you will see the full amount reflected in your Amazon Gift Card Balance. Now, you're all set, and when you make a purchase, your gift card balance will be applied automatically until it’s gone. Try it for yourself.